Circa Survive’s drummer Steve Clifford recently got a shoulder injury and wasn’t able to play with the band last night in California. Most bands would normally cancel the whole show in this case. Most but not Circa Survive. The band decided to stick to the plan, just changed the format of the show to a stripped-down set. You can even see the footage of the entire show in a live stream below. In this detailed post, the drummer also unveiled how he dislocated his arm a few times (like, “falling off a semi truck while petting a dog”, wha-at?!). Read the full post below. 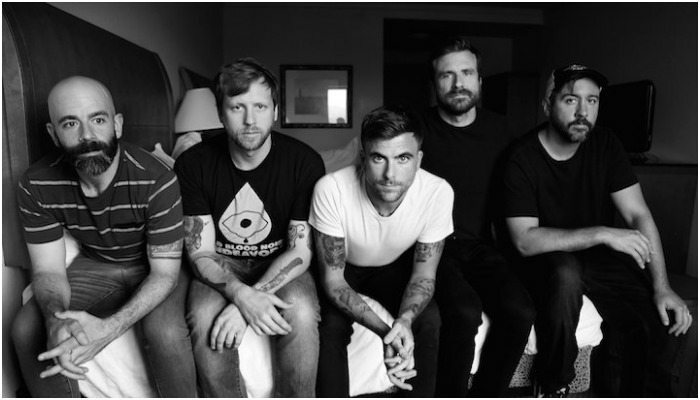 Circa Survive are soon releasing a deluxe edition of their latest record, The Amulet. You’ll also find two bonus tracks on this new edition so get your Amulet here. 11/20 — Dallas, TX @ Gas Monkey Live!